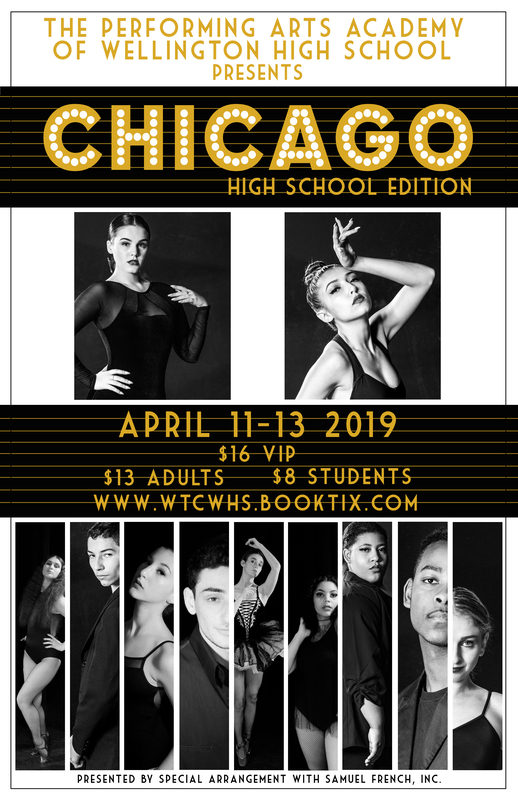 The Performing Arts Academy of Wellington High School is proud to present its spring musical, Chicago: High School Edition, April 11-13 at 7 pm in the school’s auditorium at 2101 Greenview Shores Blvd. in Wellington. The musical is about murderesses Velma Kelly and Roxie Hart’s competition to earn freedom and the most fame in 1920s Cook County Chicago- and the lawyer, Billy Flynn, who works with both of them. 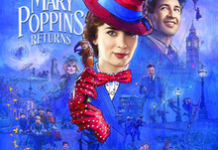 Featuring a live orchestra and cast and crew of 60, the students are excited to present their version of the second longest running musical in Broadway, with music by John Kander and Fred Ebb and original choreography by dance icon Bob Fosse. Tickets to Chicago: High School Edition are $13 for adults and $8 for students over the age of eight; they are available at the door or atwww.whsdramaclub.com. 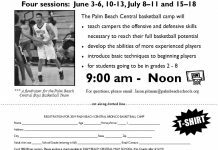 There are also VIP seats available online for $16 that come with front row seating, soda and popcorn. All students on Thursday, April 11 pay only $5 at the door.